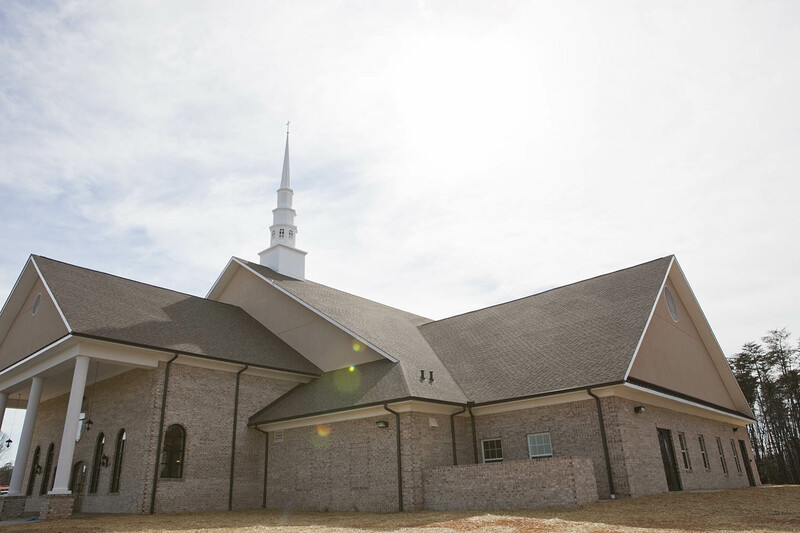 The Fall Creek Baptist Church project was a 19,900 sf new facility on a greenfield site across from the existing church. 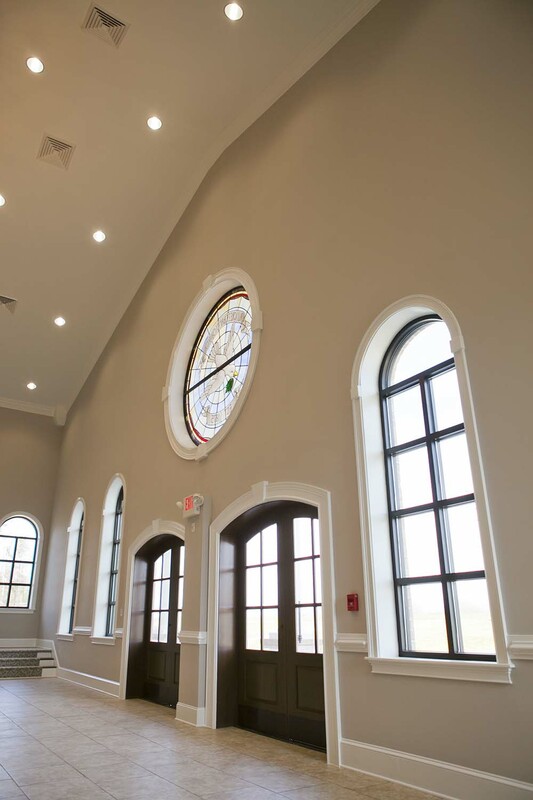 The new construction included a 644 seat sanctuary, classrooms, balcony, baptistery, restrooms and offices. The project was constructed under a Design Build contract format with Architectural Design Associates as the Architect of Record. 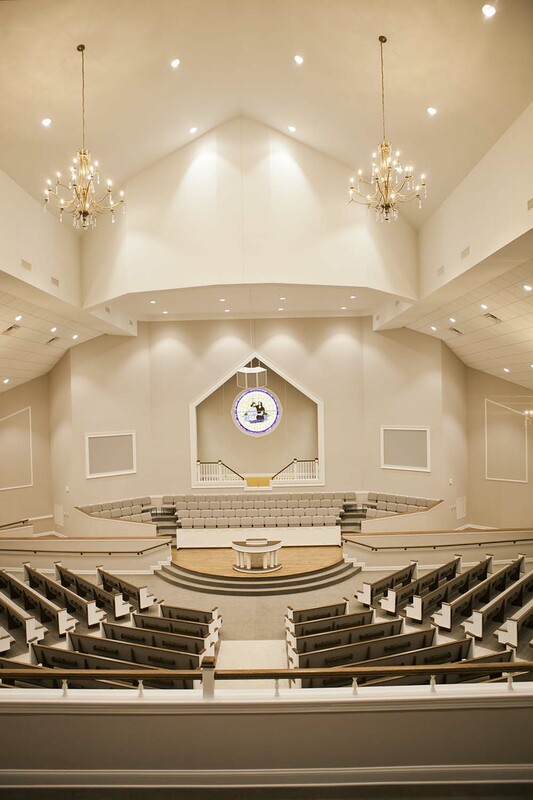 The building was constructed with load bearing metal studs, pre-fabricated wood trusses and architectural shingles. The exterior skin incorporated oversize brick with EIFS accents. The mechanical system consisted of split system heat pump/furnace systems. 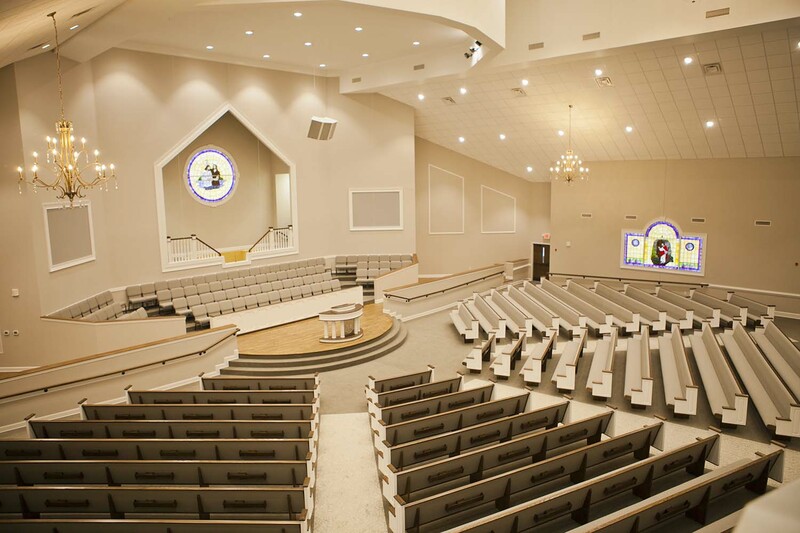 The project included LED Lighting, LED backlit stain glass windows and state of the art audio and video equipment. The scope of site work for the 8-acre project site included removing timber, clearing and grubbing, erosion control, excavating existing soil for building pad and parking lot, storm drainage, septic system with alarm and pump, concrete sidewalks and stamped concrete paving at front porch and porte cochere.